Capodimonte is a characteristic medieval town located in northern Lazio in an area that is known as the Tuscia (which corresponds to the Viterbo province of Lazio). The origins of the town are linked to the Etruscan village Vesentum (Bisenzio). 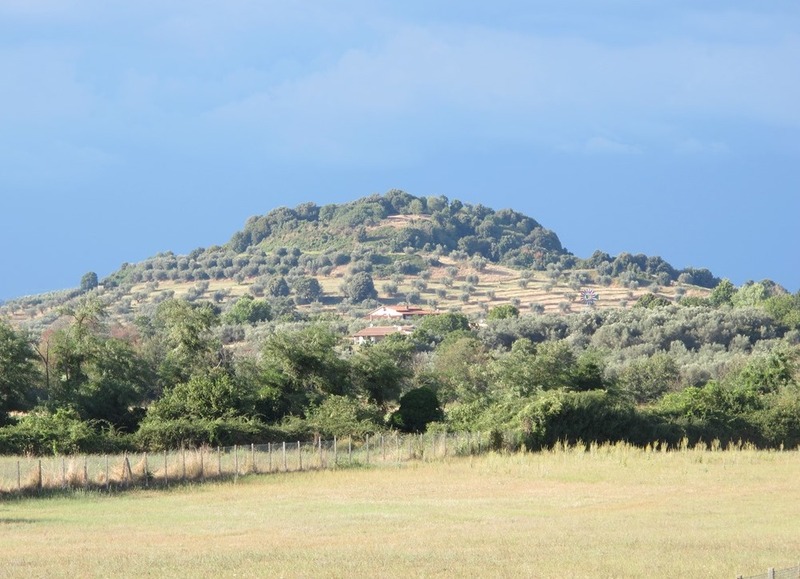 The Longobards destroyed the Etruscan village on Bisenzio and the town moved to its current hill location. The sixteenth-century Rocca Farnese, with its octagonal plan, is the most important monument in Capodimonte, and dominates the town. However the purpose of this post is not a history lesson. 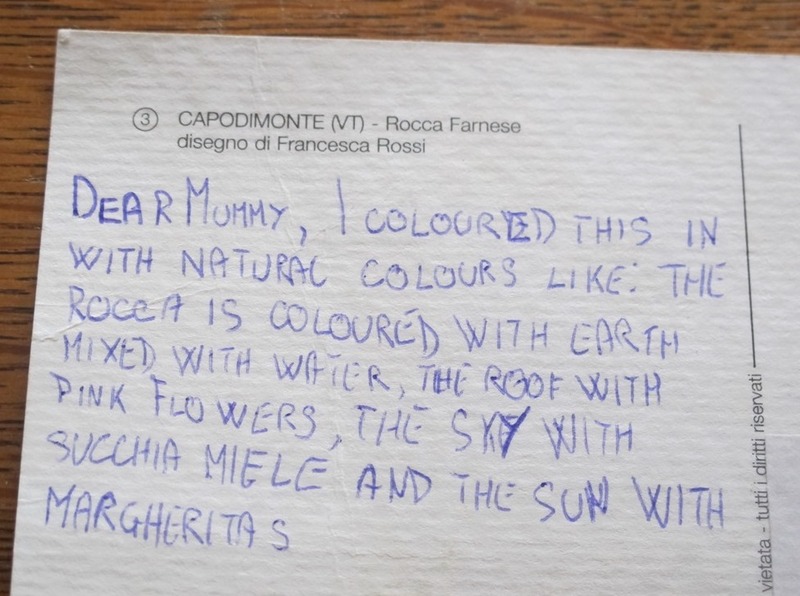 Rather I wanted to share with you a postcard of the Rocca designed by Francesca Rossi and coloured in by my daughter when we were still living in Italy and she went to the local primary school in Capodimonte. As you can see from my daughter’s description above – all natural ingredients were used. Earth, flowers and water. 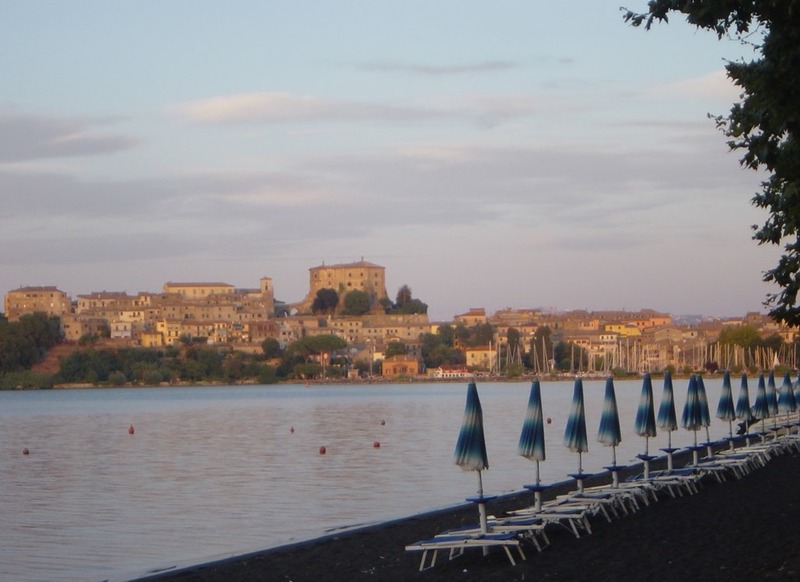 I have also included a photo taken from the shores of the lake where you can see the Rocca dominating the top of the hill. 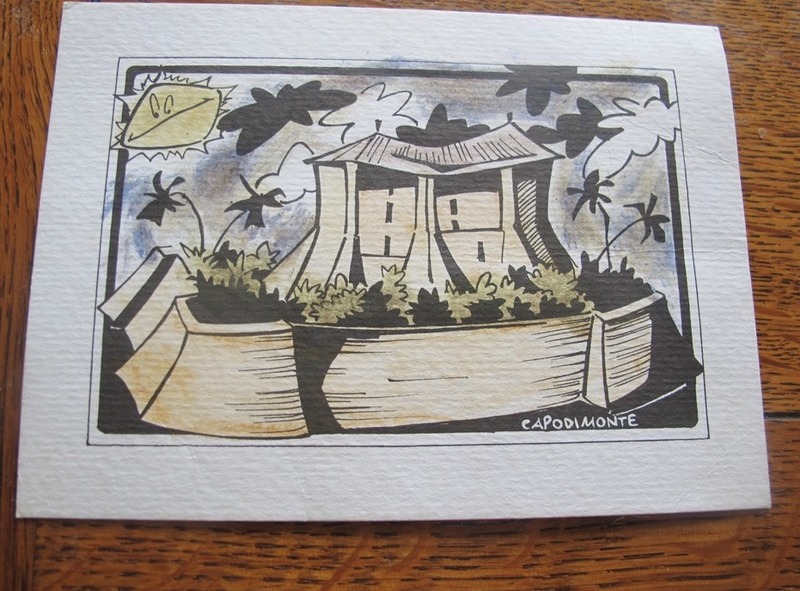 This entry was posted in Italy, Travel by Cathy Powell. Bookmark the permalink.